With the onset of winters in Lucknow, the city begins to feel the need to go out and celebrate the seasonal change. The ideal time to go on a pleasure trip is the time when the pink winters just begin to set the mood. One of the closest and most sought after destination for Lucknowites is the renowned Nawabganj Bird Sanctuary. 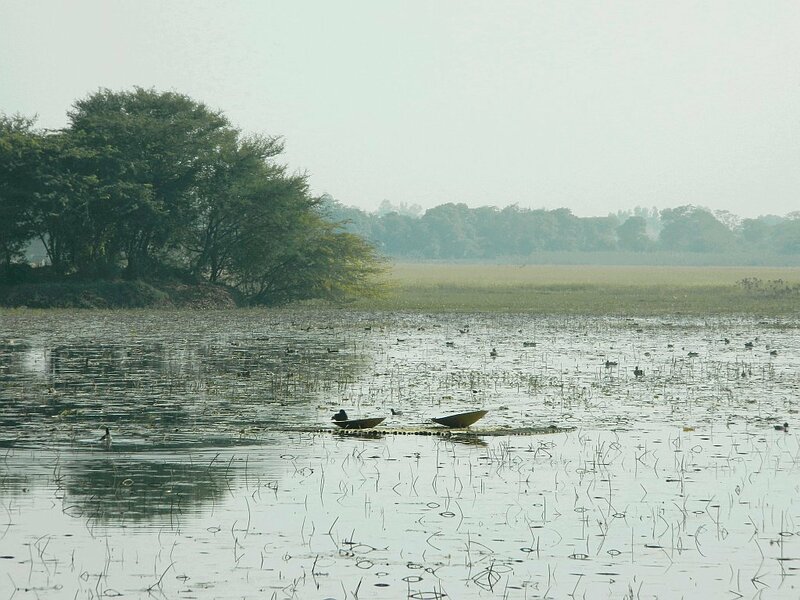 Indicative of its name, the Nawabganj Bird Sanctuary serves as an abode for migratory birds in winters. It is spread over large lush green area and has beautiful birds and sights to absorb along with resorts, restaurants and eateries to make your trip a pleasurable one. The serene natural beauty coupled with the scenic beauty of birds and a lake will make you cherish the trip for long. The Nawabganj Bird Sanctuary is one of the main wildlife preserves and is situated approximately 43 kilometres away from Lucknow. You can witness some of the fascinating and interesting aspects of bird life at the Bird Sanctuary in the form of birds in bright, beautiful colours,their different and unique nesting methods, diverse chirping and cooing of birds and the most picturesque scene of large number of birds flocking and flying together. The Nawabganj Bird Sanctuary serves as a cosy and comfortable habitat for large number of birds, which migrate all the way from Siberia, China, Europe and Central Asia to beat the cold conditions. The journey of the migratory birds across the continents and oceans is so remarkable in itself that it commands a trip to the sanctuary. Some of the migratory birds are said to fly as high as over 8500 metres and covers a long distance of around 5000 km to come to the sanctuary to escape the harsh winter season. It intrigues tourists to see the beautiful birds who have achieved this big feat. The sanctuary has a lake which supports habitation of migratory and other birds and adds beauty to the otherwise dull landscape. The sanctuary is said to provide shelter to around 250 species of migratory birds every year. The avian fauna, however, comprises of both the resident birds as well as the migratory birds. Some of the migratory birds that can be seen at the sanctuary include pintail, cotton teal, red-crested pochard, shoveler, mallard, coot, greylag goose whereas the local and residential birds are Saras crane, peacock, white ibis, whistling teal, white-necked stork, purple moorhen, pigeon, king crow, bee-eater, Indian roller, tern vulture among others. The Nawabganj Bird Sanctuary also houses a deer park that acts as a pull for the tourists. It is a small park located in the sanctuary that houses a variety of deer including the spotted deer, curved horn deer and barking deer. As the sanctuary is a home for large number of birds, it also has a Centre for Interpretation of Birds that provides information on birds, their habitats, behaviour, nesting styles and all the other related information to the visitors. Nawabganj Bird Sanctuary is full of nature and has scenic beauty that soothes both the eyes and the senses. It has walking trails to assist the visitors in sighting of the birds in the sanctuary. The sanctuary is also home to a number of reptiles such as cobra, viper, krait, rat snakes and water snakes. The sanctuary houses eateries, restaurants and Tourist Bungalows as well for a trip full of enjoyment and relaxation.